Since setting out in 1973, we have grown to become a market leader in Mobile Ticketing Solutions, driving sales and delivering high performing systems to our clients and to their passengers and customers alike. Providers to companies including Stagecoach, National Express and Big Bus, our systems span the globe including onboard OBB Austrian rail network, and as far away as with InterCity Group in Auckland, NZ. The systems that we provide are developed entirely in-house, from conception through to final delivery. We even design and manufacture our own hardware, so that clients can rest assured that every solution we supply to them is the best on the market today. Having become specialists in the transport sector, we set out to deliver a system that encompasses not only state of the art software but also the very latest in hardware technology. 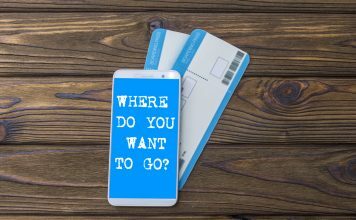 TicketPoS is unique in many respects and has key benefits: First off, it is extremely reliable, offline as well as online. We understood early in the process that reliability was a real problem for operators and passengers alike. Whilst selling, the focus is on processing transactions quickly and smoothly – also vital for the overall customer experience. Our solution fits perfectly, having developed software and processed payments at on the move for our clients since our first mobile solution in 2009. In addition, our system has numerous clever features designed to close gaps, improve cash handling whilst facilitating the move to cashless payments wherever possible. It uses GPS tracking to deliver real time and pinpointed sales data delivered on a clear to read head office dashboard. We support promotions, discounts, agents and commissions, along with multiple other benefits. Not least is the anti-fraud measure in our dynamic QR codes, and features in the customer app, which has been designed to give the user complete control over their ticketing purchase, usage and travel. 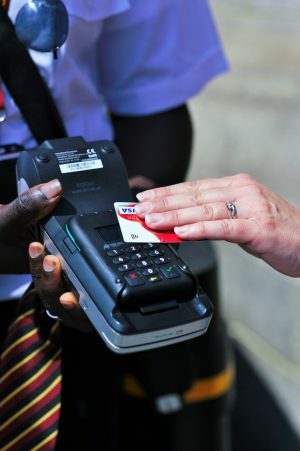 The Go2 all-in-one contactless-enabled handheld device comes with ITSO accreditation and full PCI compliance, approved EMV levels 1 and 2, for a fully secure solution that is ready to deploy. It supports e-tickets and self-scan, as well as all payment types, and is small enough to be carried with ease throughout the working day. Looking further ahead, at ECR we are working continuously with our clients to identify market trends and new ideas to incorporate into our software and we are always pleased to be able to deliver and help our clients enjoy the benefits of what our systems can do. This year, we continue focusing on giving independence and control to the customer, making the buying process even faster and easier than before. This is set to help ticket sales rise significantly across multiple transport types, and we are excited for the opportunities this will offer us and our clients throughout the transport market and beyond.